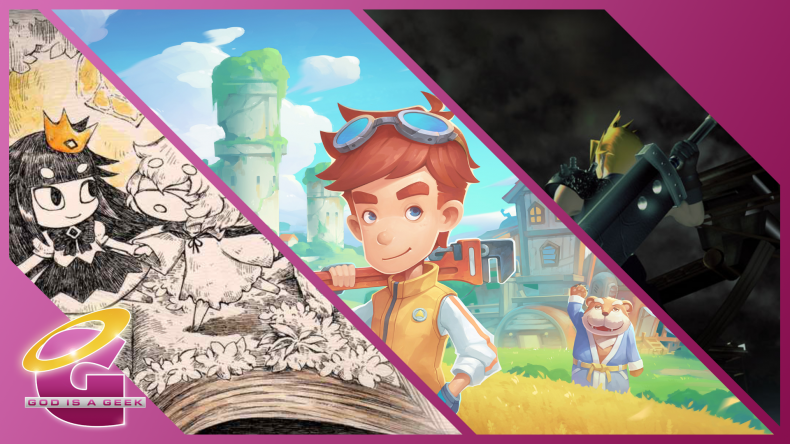 Today’s Switch Re:Port Review looks at four very unique games that either saw releases earlier on other platforms or also happened to release on the Switch alongside other platforms. If you’re new to the Switch Re:Port Reviews on the Geek, I (with the help of the fine folk here) look at the Switch ports of games that have been released on other platforms. These reviews aren’t just to talk about the game but to look at how the games run and play on the Switch and how they use the Switch features. 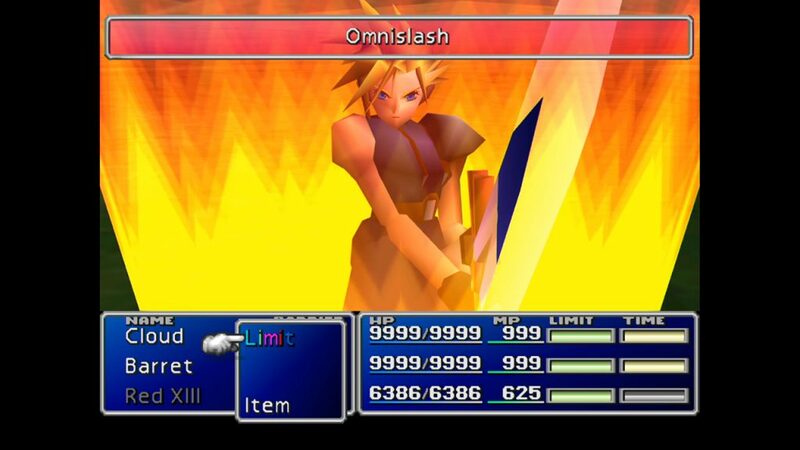 I’ve put off playing Final Fantasy VII again for what feels like a decade. As one of my all-time favourite games, and one I’ve finished countless times, I think FF7 is only really bettered by Super Mario World, but even then, it’s an RPG that isn’t given the credit it deserves, not least because unlike most modern games in the genre, it gets you playing rather quickly. Of course there are cut-scenes to introduce the world and setting, but ultimately you’re left playing Cloud as blank slate to begin with, and his personality (and the friends and foes you encounter as him) are developed and revealed as you play. For a game over twenty years old, it still feels great, and the quality of life improvements for this particular version are welcome indeed. First of all, clicking the left stick turns on high-speed mode. This makes the game (but not cut-scenes) run at three times the speed it would normally play at. Yes, veterans, that means you won’t have the painfully slow ladder climbs in that opening mission, and this alone is a fantastic addition for those returning to the game for the umpteenth time. Second, clicking the right stick gives you regenerating health in battle (the instant you take damage, you’ll fully heal) and also instant limit gauge. This does equate to making it nigh-on impossible to fail, but again, if you’re revisiting for the nostalgia trip, these two “cheats” in conjunction with one another make for a thoroughly pleasant time; you can just romp through the game as your will warrants. Finally, clicking both sticks removes random battles. I can’t be the only one who has a pavlovian response to the swooshing battle encounter noise that plagued you during the late game; it makes me shudder less these days, but it’s still there. This final cheat works best with the others, because you don’t need to grind as much if you can’t really fail and always have a limit break. It’s worth noting, I suppose, that the instant limit break does introduce some strange proclivities, in that characters like Aerith have a healing limit break, but switching that off to remove the instant-limit-break will also make her unprotected. That said, she can use magic like anyone else, so it’s a tiny oddity that is only worth this passing mention. Likewise, this version doesn’t have the boost feature found on iOS that gives you max stats and 9999 health, but really, with the limit/regen cheat, I’m not sure you need it anyway. The smoothed out visuals are about all the “remastering” you’re getting here, bar the cheats, and you’ll either find them fine, or you won’t. For my money, it’s nice to have a smoother looking game after twenty years, because part of the reason I’ve hesitated to return is that I didn’t want to sully the memory of one of my favs. I shouldn’t have worried, though, the instant that music started up I had goosebumps, and despite some language that, in 2019, it’s surprising was left in, this is still one of the greatest games ever made, only now it has even more respect for your time. It truly makes me wonder if the remake will ever happen, because honestly, there’s no point to it: nothing can live up to the memory of this game, or what it did for people who were there at the time. For me, I’m just happy to be playing the game again, and feeling the warmth it gave me in 1997. Now it’s time to take on Ruby and Emerald. 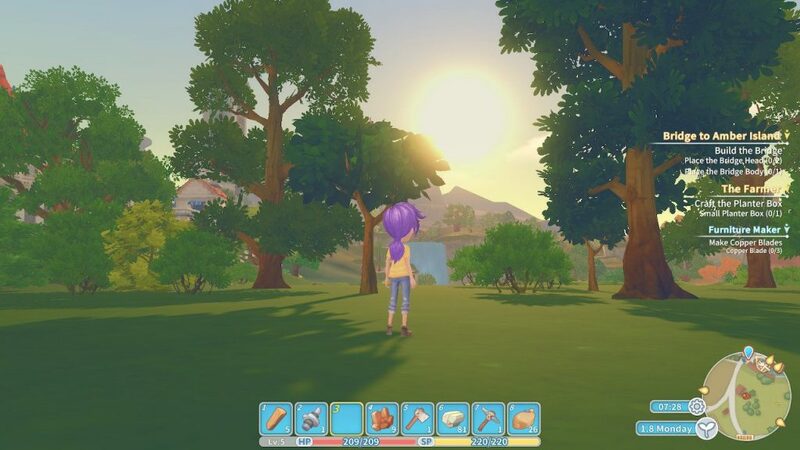 When Chris Hyde told me about My Time At Portia, I immediately knew I needed the game. I also wasn’t going to make the mistake I made with Stardew Valley which is buy it on PC only to never really play it until it comes to a console so I decided to wait. It is now on all consoles and the Switch port sadly is not great for a few reasons. I’ve been playing it over the last two weeks on both Xbox One and Switch and having a ton of fun with the actual game. Portia is a great game and the way many aspects of older games in the genre have been brought in make it a lot of of fun. I didn’t think a new game would get me addicted like Stardew’s Switch launch but here we are. Portia’s issues on Switch aren’t just minor sadly. Visually, there are two main issues. The first is the lack of grass that other consoles have. On Switch, there isn’t any grass visible and the floor is just green where other consoles have lovely grass. The second issue is in handheld text sizes and UI. Both need to be increased in handheld mode and while the game or some assets in game and textures are low resolution, the UI should’ve been crisp at least. When it comes to performance, load times and actual in game performance have trouble. I’ve been playing this both before and after the patch (as of this morning on 16th April) hit. The load times pre patch were terrible and with the patch they are better. The post patch time is better and lower than a whole minute but still not great and much longer than it is on my Xbox One X. It still needs work though because some menus like the inventory don’t load up instantly either. Performance has trouble with freezing and hitching sometimes but there is also the issue of input lag or sometimes inputs not being detected in some cases. At this point, I’d hold off on the Switch port unless you have absolutely no other platform to play it on. I always prefer playing these kinds of games on a portable but the performance issues, input lag, and load times make this not much fun. My experience on Xbox One has been the opposite and I’m even more addicted to this than I was with Stardew Valley in my initial hours across both games. With over 30 hours played across Xbox One and Switch, I can’t wait to see it improve over time on both platforms and hopefully it is fixed for portable play on the Switch. If you’ve read any of my reviews of NIS’ smaller games like Yomawari, you know how much I enjoy these smaller experiences from them. While I always look forward to a new Disgaea or now a new Coven game, NIS putting out smaller experiences like Firefly Diary or Rose in the Twilight are what really made me a fan of the company. 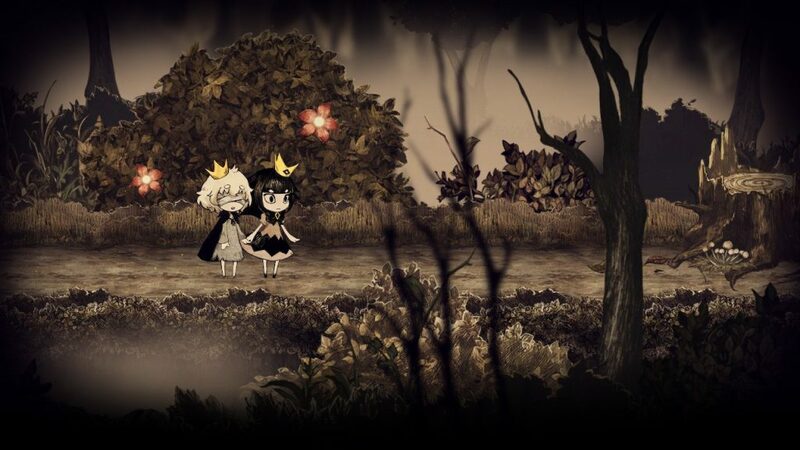 When they announced The Liar Princess and the Blind Prince, I knew I needed to play it and unlike some of the other games I mentioned, this one is pretty damn great almost all the way and the Switch version is great. Liar Princess tells the story of a prince and a wolf who sings. The prince adored the wolf’s voice but didn’t actually know he was enjoying songs sung by a wolf. In an accident, the wolf blinds the prince and the tale begins. Liar Princess has basic puzzles and while some may feel a bit vague, you can always skip after a few minutes. The Switch port supports video recording but does not have any touchscreen functionality. Having played it on the PS4 and Switch, I noticed a few minor performance issues on the Switch in some situations. Overall, this adventure game with light puzzles is well worth your time if you enjoy fairy tale aesthetics and stories. I adored the art and music and the only real flaw with this game is the few minor performance issues with Switch version. The Liar Princess and the Blind Prince is a charming storybook tale and I can’t wait to see the next release from NIS’ smaller team. 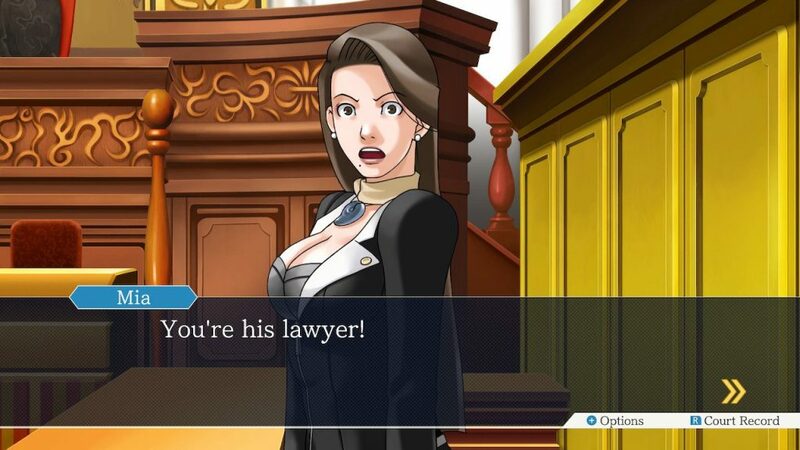 I’ve adored the Ace Attorney trilogy ever since I played it on iOS a long time ago. I ended buying physical copies of 2 of the DS entries and then getting it digitally on 3DS just to have it everywhere I could. When Capcom announced a set of ports of the trilogy for current consoles, I was cautiously optimistic not just for the ports but to see how the games would hold up again. After playing the newest port on Xbox One and Switch, I’m glad that the trilogy is still an essential purchase for adventure game fans. If you’ve never played a game in this franchise before, this trilogy is a great place to start since it brings the first three entries to all current systems. In terms of the three games, barring a few cases in the middle, this is superb quality stuff with great music, writing, and courtroom drama. The Switch (and other current ports) version doesn’t include anything more than the trilogy that exists on iOS and 3DS already but it has been prettied up quite a bit. Visually, the trilogy looks great almost all the way. There is a case to be made for the DS era visuals and while certain aspects of the port could have been handled better like some of the character model changes, this is a great way to experience these classics. The Switch version runs great and looks excellent in both docked and portable modes. The real draw of the Switch version is in how Capcom made great use of the touchscreen. You can play these games with touch controls all the way if you’d like or switch between touch and button controls whenever you want as both are available at all times in handheld mode. Some of the buttons and UI could have been made larger in handheld mode to accomodate for touch though. This port supports Switch video recording.